A common mistake that homeowners often make is that that they fail to do proper roof maintenance. They live under the misconception that once a roof is installed, that it will last forever. However, that is not the case with roofing. If they are not properly coated, there can be many problems. With rain and snow, the roof tiles can take on considerable damage. After a while even the best of tiles can become soaked and filled with water. This can lead to the roof being much too heavy for the structure. This can lead to roof collapse which can cause the destruction of the home and even loss of life. Water damage can also cause moss, algae, lichens, and mold to build up which can further damage the roof and pose health risks. With harsh winter weather and much rain here in the UK, roofs are susceptible to many problems. This includes the buildup of algae and mold. Algae can cause a lot of damage to the roofing system especially if it is allowed to grow freely. Algae will also make the home look poorly and if a homeowner ever wants to resell, this could hurt the value of the home. Mold buildup can cause a host of problems. Not only can it cause the destruction of the roof, but it can get into the structure of the building and destroy walls and other items. Mold can pose a serious health risk to those that are allergic to it. It is said that some people may have issues with mold even though they have no known allergy to it. High winds can quickly damage a roof and cause some of the tiles to loosen and can even cause the roof to be a total loss. If the wind pulls up the tiles, this can lead to leakage. Roof leakage can cause damage to the inside of the home including items. For instance if the roof starts to leak over the kitchen area, damage to the appliances can occur. Roof leaks can be extremely costly. Not only does the homeowner have to make a repair to their roof, they will also have to repair whatever damage was caused inside the home. 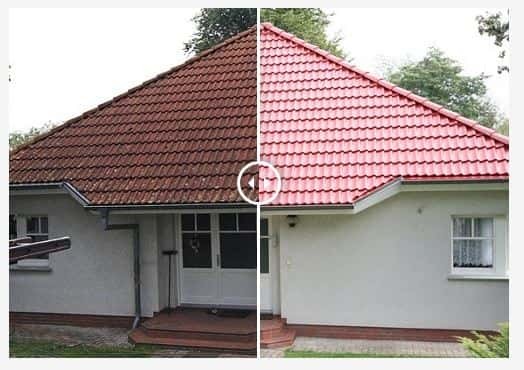 Roof coating a Defense against harsh British Weather is the best way to protect the roof. 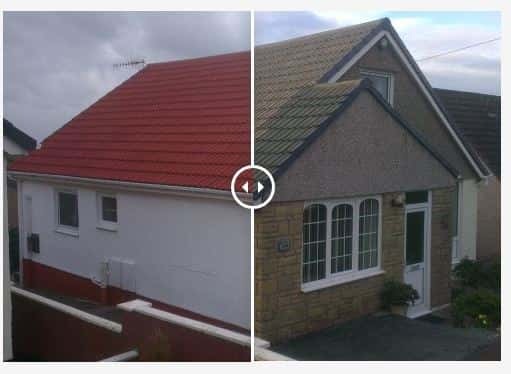 This coating acts as a barrier between the roof system and the harsh weather of the UK. There are several steps to roof coating. The first step is cleaning the roof and making sure that there is not any debris. The next step is to repair any type of broken tile or problem areas with the roof. After that the roof will be treated with an anti fungal wash that will help to prevent the regrowth of algae, mold and lichens. The final step for the roof will be a thermal roof coating that will protect the roof from any damage, no matter the weather. At the Roof Coating Specialists, they offer Roof Coating a Defense against harsh British Weather. This type of roofing protection will help to protect even in the harshest of weather. With reliable service, and well trained roof technicians, they will be able to repair and coat even the most problematic roof system. If you are interested in having your roof coated and saving money on any future problems, call the Roof Coating Specialists today.